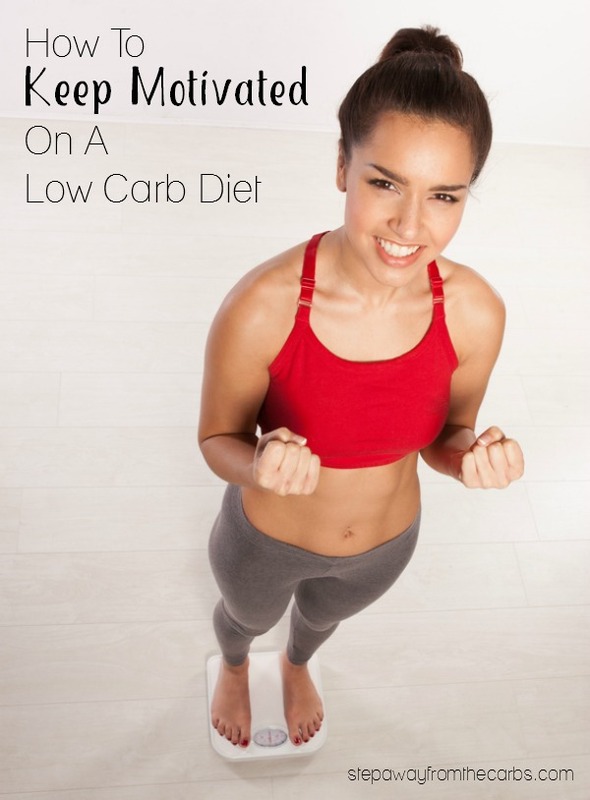 Do you need help keeping motivated on a low carb diet? 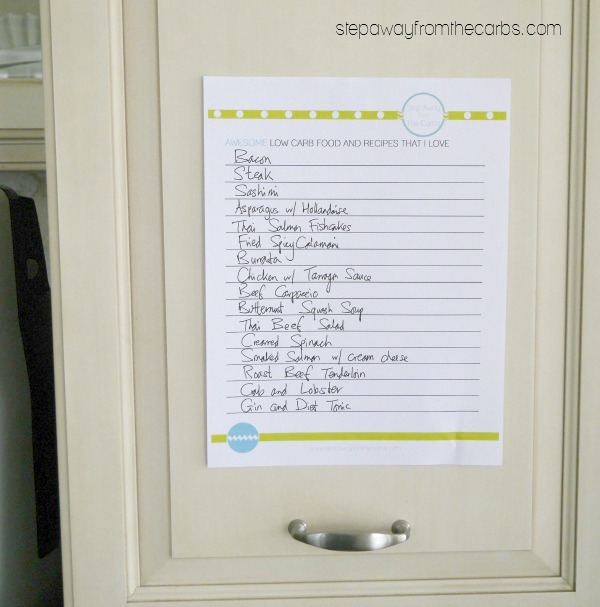 Check out these top tips and printables! I’ve been following a low carb diet since 2008, and although in some ways it gets easier, there are certainly days where I want to jack it all in and at eat high carb pizza. However, I just have to look at how far I’ve come (down 30lb) and how far I still have to go. And although I’ve plateaued for some time now, I haven’t actually gained weight, which is quite impressive after a long winter with almost no exercise. There are some fantastic support groups on Facebook (I am mostly involved in Low Carb LCHF Keto Eating and Keto Low Carb Diet Recipe Club) where people will help out, give advice, and celebrate your successes with you. 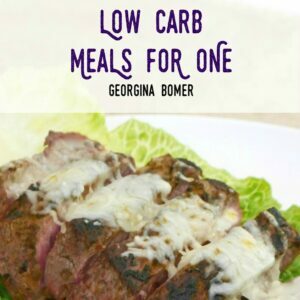 You really *don’t* have to do it all on your own – even if you’re the only person in your family who is low-carbing. A classic motivator is comparing now and then photos. There aren’t many of me at my largest – I probably deleted the worst offenders but now I wish I’d kept the most unflattering ones, so that I can see how far I’d come. Oh and don’t forget to keep your old clothes! Remove the clothes from your closet that are too big of course (AND enjoy buying some new ones!) but keep the old “jumbo” ones tucked away. 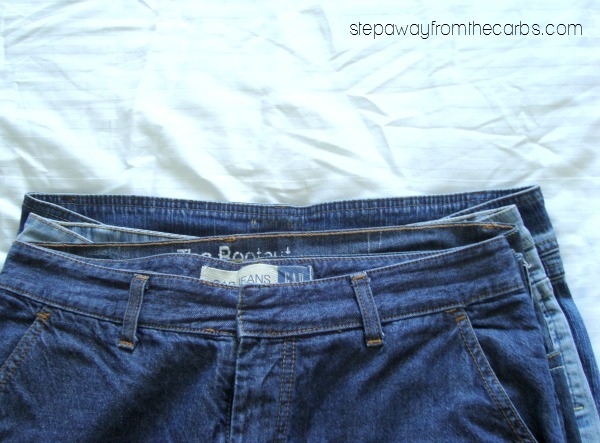 After you’ve gone down a few sizes, lay out the clothes next to each other. With jeans it is particularly obvious! I was discussing with a friend the other day about when I started low-carbing. I remembered that to prove to myself that this wasn’t a “rabbit leaf” diet, I typed out a list of all the amazing food and recipes that I could still enjoy with this way of eating. Because, yes, we have to give up bread and pasta and sugar and the rest, but there are some FANTASTIC foods that are perfectly low carb. It occurred to me that others might find this idea helpful in keeping motivated – whether they were at the start of the journey or struggling to keep going. 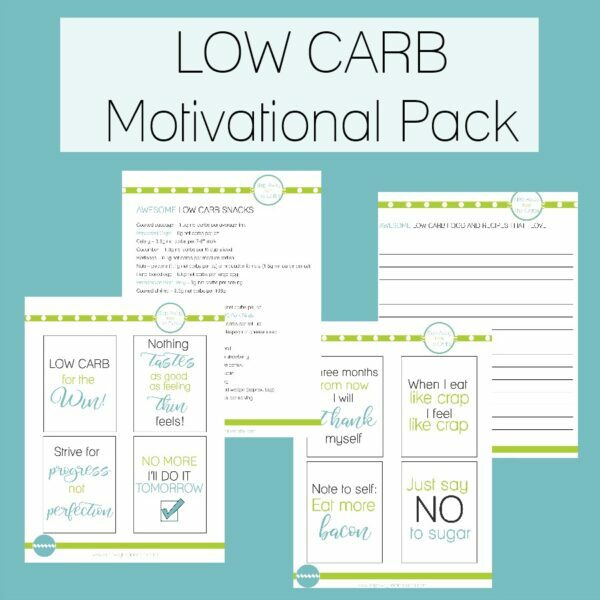 So I put together a low carb motivational pack for you to download and print! Fill it out and tape it to a cupboard or fridge door. Add your new favorite recipes as you discover them, so you can revisit old favorites. I dug out my old list from 2008 and completed my own version! Seriously, when you look at this list of fantastic food we can eat – it doesn’t seem like such a hardship! 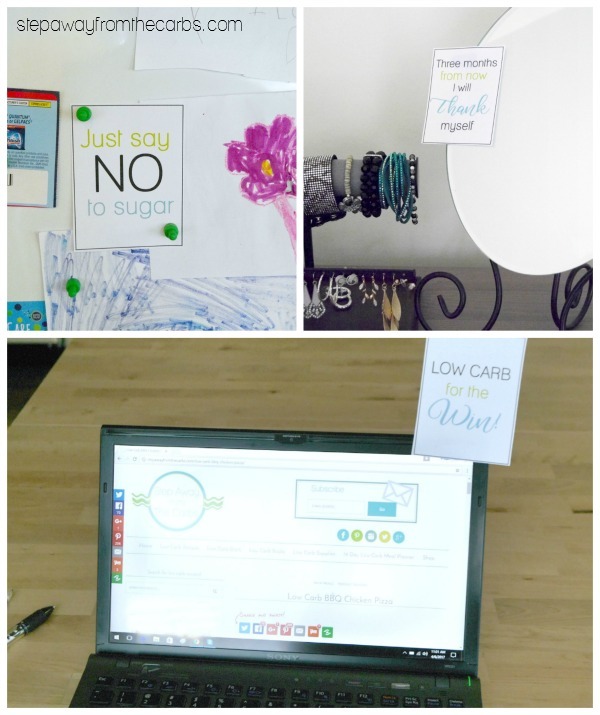 Cut them out and keep them by your desk, pinboard, bed, mirror – wherever you think you need a little motivation! Rotate them around frequently so that they keep you focused. 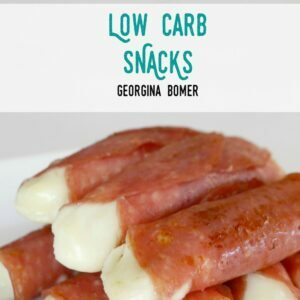 Snacks can be hard, and even if you have your main meals planned out (check out my 14 Day Low Carb Meal Planner if you need help), it can be all too easy to reach for of a high carb snack or treat. 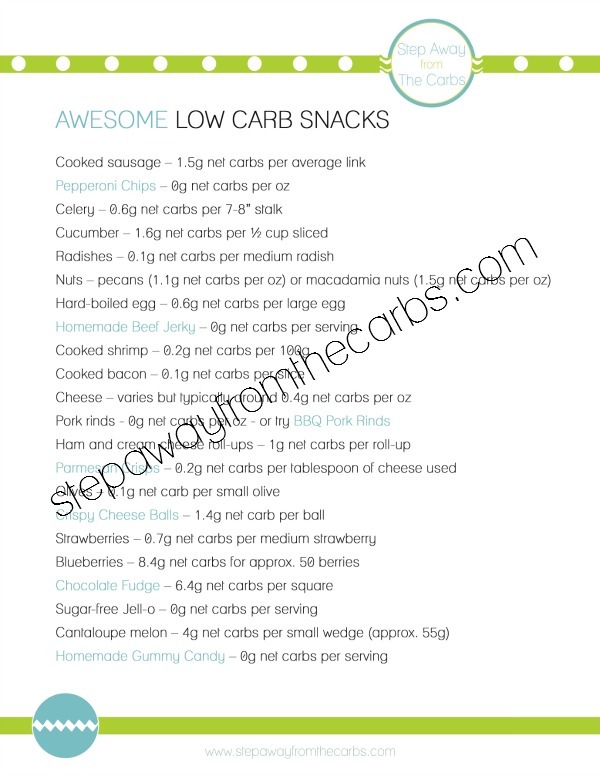 So I’ve listed some awesome low carb snacks, together with their carb count. 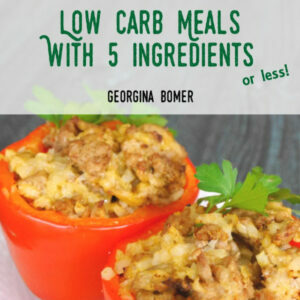 A few of them link to easy recipes for you to try – just click through and print out the recipe card if you’re interested. No excuses for cheating when you have these amazing snack choices! 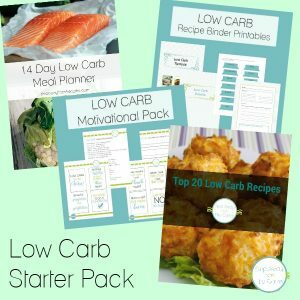 If you’d like to have a copy of my Low Carb Motivational Pack, please go to the StepAwayFromTheCarbs store!